Yup. That was me on the evening of December 20th. No matter how hard I tried, I could not seem to remember how I typed the answer to my security question. I literally tried at least twenty times and reset my password ten times in order to keep trying. In spite of my perseverance, I did not succeed. I had to call Customer Service. So I was meeting Chipchops at Barnes & Noble for man-nite (Indeed…Geld, Chip and I have a man-nite once a week) and we were going to finally get to pvp together again after sooooo long. He already picked up his Collector’s Edition at the midnight release the preceding evening and I was still going on the grace period. We were planning on such the pwning of Imperial noobs but when he got his computer set up finally (he had some problems connecting to the free Wi-Fi), he realized that he had forgotten his security key at home. So we decided to move man-nite to his apartment. Upon arriving I connect to his internet and after logging in to TOR, up pops the security question: “What street did you live on as a teenager?” This was easy. I know the answer. I only lived on one street as a teen. Now granted, I did answer it incorrectly the first three times. Due to my wonderful ADHD, I misread the question to say kid and not teenager. How did I confuse the two?…./shrugs shoulders, that’s me off meds ha-ha. Anyways, I got locked out. On this singular history-making occasion where we once again take up arms together on the battlefield…I had epically failed. I reset my password to try again, and again and again. Nope. I could not figure it out. Did I put Road on the end? Did I capitalize it? Did I abbreviate? It was hopeless. I had to call Customer Support. So my expectations of Bioware are pretty high. I have been waiting for this game for 2 years and I have been reading about how they are confident that they are ready…they weren’t. I call the first time and get a recording telling me all the customer service agents were too busy for me to even be put into a queue. I hung up and called again about 5 minutes later…same recording. Now something to note about me is that I’m pretty level headed. I don’t anger easily and I try giving the benefit of the doubt. I see everyone as doing the best they can at life and I cannot expect more from them. Honestly, who wouldn’t give their best; some people just don’t know the best methods. Naïve, I know, my wife tells me thus all the time but it keeps me for getting angry so I’ll take it. Anyways, when I got the second recording telling me they were too busy, I was getting a little livid. I decided to check out the forums for others who were experiencing something similar to my plight. Indeed there were a few. I found a plethora of ranting forum topics by people being in 3 hour phone queues and getting boxed emails which don’t at all help. The funny thing is…it made me feel a little better. Knowing you’re not alone is always comforting. If I’m going to suffer, I want someone to suffer with me. Morbid, I know, but such is the human condition. We like company no matter where we are. That’s why Bioware gave us companions!!! I digress. So I started repeat dialing (“war dialing” I saw it called on one of the topics) trying to fight for my spot in a queue. And it worked! I get in line and wait and wait and wait. The waiting did have benefits because it gave me a blog topic and time to discuss with Chip an upcoming blog series we are doing on pvp. I, however, much would have rather pvp’ed than talked about blogging about it. 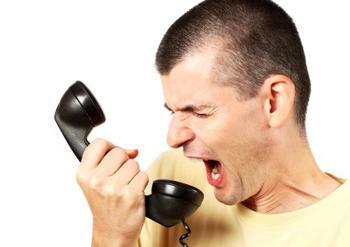 Now, I am incredibly tired of their hold music because it is only about 30 seconds long and between each repeat, some guys says, “Your call is important to us and a representative will be with you as soon as one becomes available.” I never want to hear it again. I was on hold for an hour and fifteen minutes and never even got to speak with anyone. The whole evening was wasted on hold. I had to get off because I need to go home and spend time with my lovely wife. So……. I formulated a plan. Famous last words: I’VE GOT A PLAN! I decided that I would set my alarm in the morning for 6:30 AM in order to call at a low volume time. I get up barely able to think and redial the customer service number. I immediately got into a queue after jumping through the hoops of “if your problem is this press 1.” I waited about 20 minutes and the phone was answered but a slightly awkward Joseph. He was either very new to the idea of phone service or was extremely tired. I’m betting on the latter. I answered my security questions and got the correct spelling. (I abbreviated road with a period at the end). In spite for the awkwardness, he did a terrific job and I gave him a good review on the survey I was sent in my e-mail. Overall, it was more complicated than it should have been to solve my problem. I really feel like there should be other ways for me to fix my own problems should they arise. On the other hand, I must be reasonable. I know Bioware has to protect its customers. It was launch day and those are always going to be extremely busy. I called at peak hours and so I could only expect the long queue. And I must appreciate the extra mile gone to protect my account. I played WoW for several years and was hacked several times. It was actually the reason I quit. Now, I’m glad to see a company taking those extra steps. I also got my security key from my Collector’s Edition linked to my account. Overall, the experience had made me appreciate all the hard work that Bioware has put into this making this game a great experience. 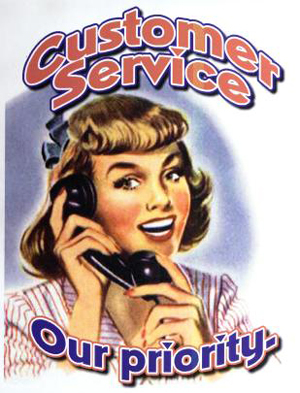 If you are having problems with Customer Service, I would advise you to try calling at non-peak hours so your queue isn’t so long. Be one of the few and proud early morning gamers like me. Quality of play and service is much better. 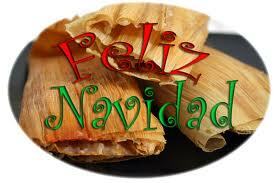 Torvox, an ADHD fanatical gunsma…..I love tamales on Christmas!!!! Famous person from history…. “Curt Kobain” – took me about 3 hours to remeber it/work it out. never did get through to bioware person. I had my first experience with this. They were excellent, prompt, thorough, and got to the source of the problem. Even got some free game time I wasn’t expecting, because it really wasn’t they’re fault as much as it was mine (we all make mistakes sometimes). It was during peak times, too, so I was really surprised. Way to go, Bioware! I can see I made a good choice.